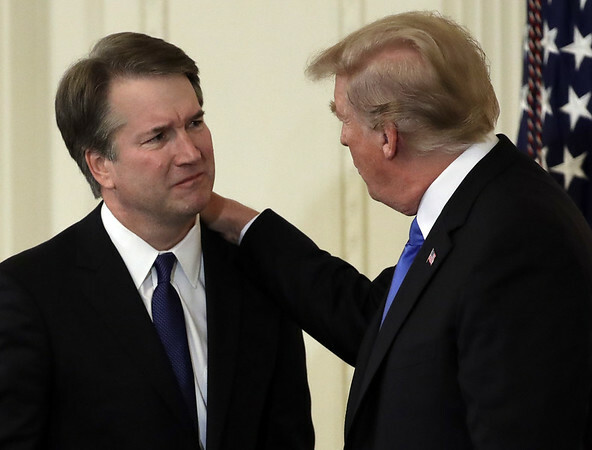 WASHINGTON - After days of frenzied lobbying and speculation, President Donald Trump decided on federal appeals Judge Brett Kavanaugh for his second nominee to the Supreme Court, setting up a ferocious confirmation battle with Democrats as he seeks to shift the nation’s highest court further to the right. Posted in New Britain Herald, , Nation-World on Monday, 9 July 2018 21:35. Updated: Monday, 9 July 2018 21:37.